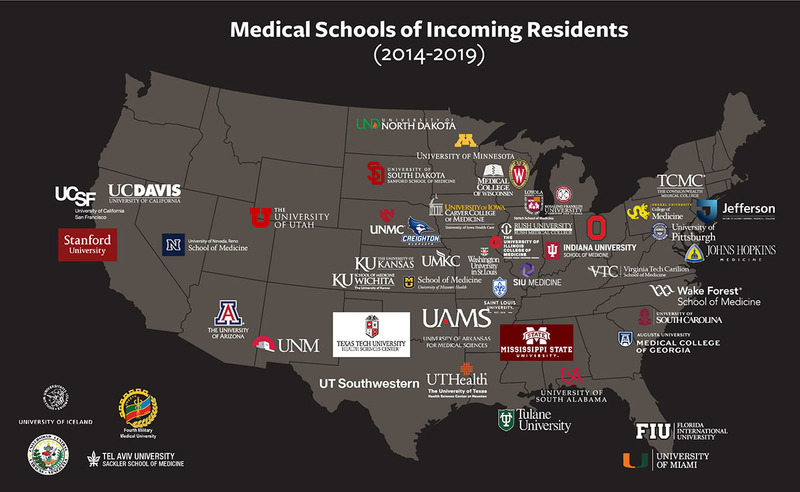 A yearly tradition that comes fast on the heels of Match Day is updating the map that shows where our residents over the last five years attended medical school. The Carver College of Medicine produces a map showing where its graduates go, and we also produce a map showing where our residents go to fellowship. Those maps show what the University of Iowa can do for students, this one shows where that pitch takes root. Each year when we update this map to keep it a rolling five-year representation, we remove fewer schools and add more. Besides revealing in a glance just how broadly awareness of and interest in our residency program reaches, this map is also a good visual accompaniment to our ranking on U. S. News & World Report. Click to open in a larger view.